Did you know that you have access to numerous natural antibiotics that you might have only been looking at as food? That’s right, the last time you had a slice of pineapple or a bowl of cabbage salad, not only were you consuming essential nutrients, but you were also introducing powerful all-natural antibiotics into your system. Viruses and bacteria are becoming increasingly resistant to our modern pharmaceutical antibiotics. The modern pharmaceutical antibiotics that once were a sure-fire solution to a number of illnesses are simply getting less and less effective as bugs have developed resistance to them. How can we help combat these superbugs you ask? Natural antibiotics. Here are the top 6 all-natural, side effect-free foods that are packed with powerful antibiotic properties. Honey is palatable, we can probably all agree, but did you know that it also works as an antibiotic? 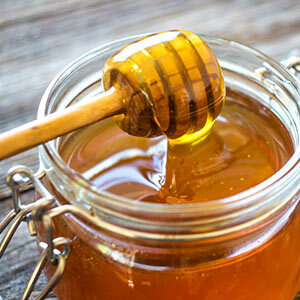 Especially the manuka grade, honey has from ancient times been used to relieve a number of health problems including allergies and sinusitis, sore throats, inflammatory bowel disease, tooth decay & gingivitis, and also improves immunity and sleep. A Study by New Zealand University of Waikato in 1981 found that manuka honey contains more antibiotic enzymes than regular honey. The enzymes generate hydrogen peroxide which works as an antibacterial. Perhaps the best news about manuka honey is that it can work against bugs that have developed resistance to regular antibiotics, shows a 2008 study by the Infectious Diseases Society of America. Garlic isn’t just the solution to your bland-tasting stir fried vegetables or homemade chili paste. It is also a potent antibiotic capable of helping jock itch, stomach cancer, and athlete’s foot. Research has shown that the risk of developing colon and rectal cancer can be slashed considerably by consuming the herb. 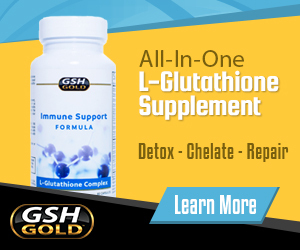 High doses of aged garlic extract, when taken for over twelve months, can reduce the chances of developing more tumors. In their 2001 article on cardiovascular effects of allium derivatives from garlic, Michelle H. Loy and Richard S. Rivlin MD indicated that garlic possesses anti-thrombosis and antioxidant properties, which render it useful in mitigating the health problems that come with increased free radicals in the body as one ages. These conditions include Alzheimer’s and heart disease. Grapefruit seed extract can kill an astounding 800 different strains of viruses and bacteria, shows a study from The Journal of Alternative and Complementary Medicine. 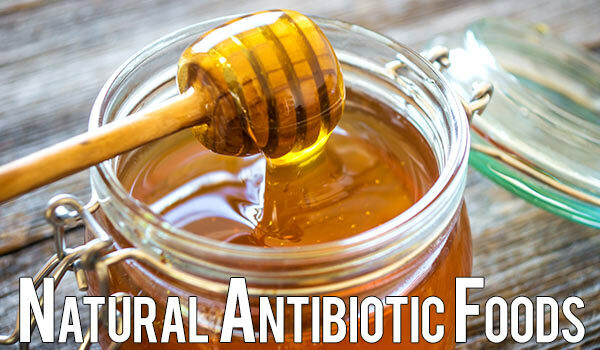 The natural antibiotic can also eliminate over 100 types of fungus and a good number of single-celled parasitic organisms, making it one of the most beneficial foods as far as natural medicine goes. A 2006 study by the Department of Nutrition and Food Science, Texas A&M University concluded that grapefruit seed extract has anti-cancer properties and reduces cholesterol levels. It has also been known to fight yeast infections when used as a vaginal douche. Other uses of GFS include treatment of atherosclerosis; reducing acne and oily skin; and relief from psoriasis and eczema. A list of natural remedies would be incomplete without mentioning apple cider vinegar – and for good reason. For ages, apple cider vinegar has been used to ease various ailments. Its antibacterial, antifungal and antiviral characteristics make it an effective remedy for acne, dandruff, candida, sore throat, flu, and ear infections. ACV also helps dissolve kidney stones and by optimizing the blood’s interaction with insulin, helps with type 2 diabetes. Oregano oil extract could be considered a one-man army against a horde of diseases. Derived from the leaves and flowers of the oregano plant, the oil displays antimicrobial, antibacterial, antiparasitic, antiviral, and anti-fungal properties. Now that’s an arsenal to contend with. It has caught the attention of researchers who continue to verify its potent antibiotic properties. A report by the United States Department of Agriculture attested to the germ-fighting properties of the oil and said it could be effective against salmonella and E. coli. The almighty oregano oil extract also speeds up wound healing; eases respiratory and digestive problems, and can help with the common cold. Experiencing menstrual pains or painful menopausal issues? You might want to get hold of oregano oil extract. It has chemicals that reduce menstrual cramps and prevent premature menopause. Cabbage is loaded with a great deal of vitamin C. The United States Department of Agriculture- Agricultural Research Service pegs its vitamin C content at 36.6mg per 100 grams. This means one cup provides you with 3/4 of your daily Vitamin C needs. That’s impressive, but what’s even more impressive is the sheer antibiotic strength that cabbage yields. The cruciferous vegetable contains sulfur compounds, used by the body to produce the ‘Master Antioxidant’ glutathione. This has been shown to help fight cancer and kill bacteria. Further than that, cabbage can improve digestion and even help keep your weight in check.